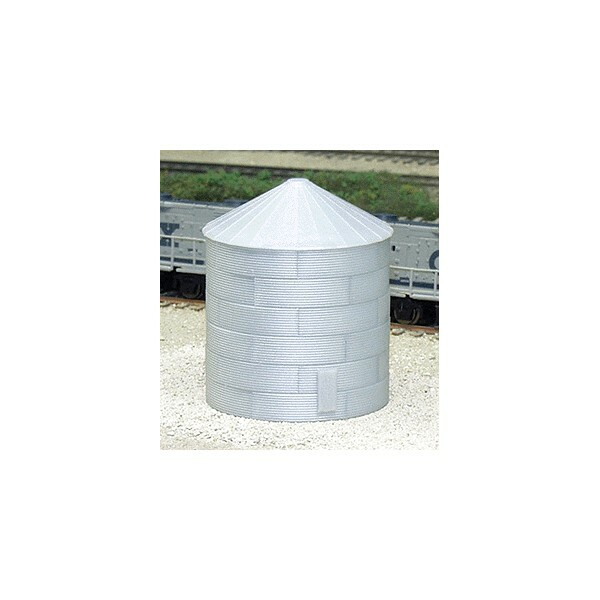 These popular storage bins can be found on farms, ranches, feedlots and alongside many grain elevators. Each easy-to-build kit consists of several bands (each made up of six segments) which are stacked to the desired height. Plastic parts are molded in a galvanized metal color. 24' diameter with door and 30° peaked roof.